Home › GreenЯ - Economic Car Driving › GreenЯ made it to the Top 5 of the World Youth Summit Award! 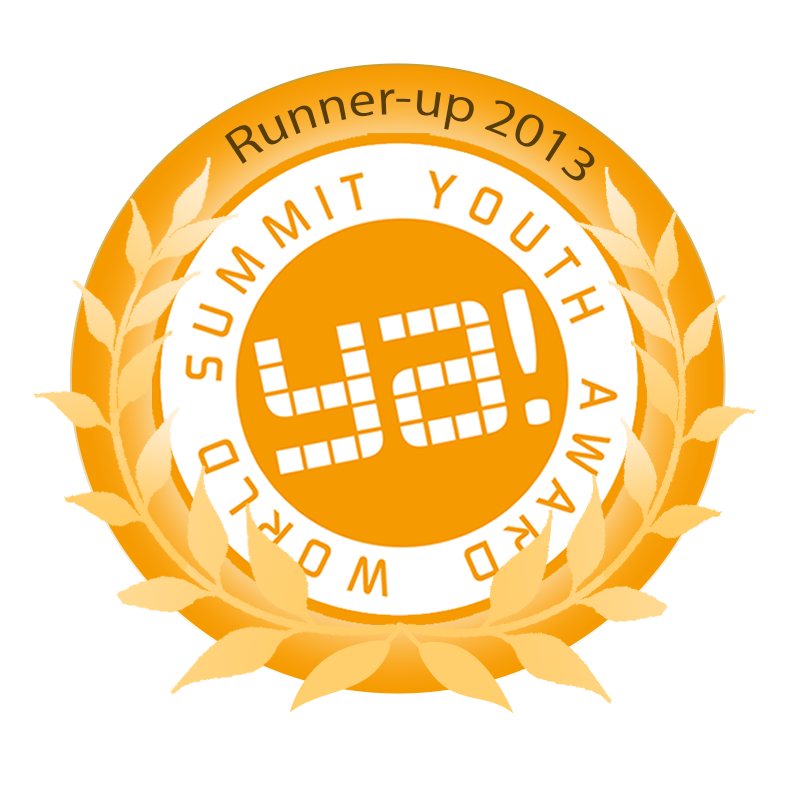 Yes, we are offically runner ups of the world youth summit award! Salzburg, Austria; September 24th, 2013– The World Summit Youth Award (WSYA) has announced the 12 runners-up of its sixth edition and Austria‘s digital platform GREENЯ is among them. Selected as the one of the best five projects in its category, the application will be awarded along the winners of the competition for its outstanding contribution to the achievement of the United Nations Millennium Development Goals through online creations. GreenЯ is a mobile app that wants to form an awareness of economical driving. This is achieved by a visual feedback of the current driving behavior, which is represented in the form of a color change of the road. When the driver has an economic driving it appears green, blue for non-economic. So the driver immediately receives direct feedback on his current ride. In addition to that, GreenЯ determines an average value of all driving behaviors of all participants. So, the more people drive economically on a specific road section, the higher the probability that it will appear on the map in green. The competition was fierce in 2013. Initially, 422 projects from 147 UN countries were submitted. From those choices, 12 projects will be featured as WSYA 2013 runners-up through the award network and 18 will be awarded in the winners’ event that will take place in Colombo, Sri Lanka. Hosted by the Sri Lankan Information and Communication Technology Agency (ICTA), the winners’ ceremony will be celebrated within the World Summit Youth Award Global Congress 2013, a 3-days event (October 24 to 26th) that will feature world-class keynote speeches, hands-on workshops and engaging panel discussions about social entrepreneurship and the content industry. Established in 2005, The World Summit Youth Award (WSYA) is a leading international competition honoring excellence on the use of Internet for social empowerment. As an annual contest it seeks to motivate young people under the age of thirty to actively contribute to the achievement of the United Nations Millennium Development Goals. The MDGs were set in 2000 by the UN to prompt member states and civil society to fight poverty, hunger and disease, inequalities, lack of education and environmental degradation. ‹ World Summit Youth Award: It’s official, we applied to it!